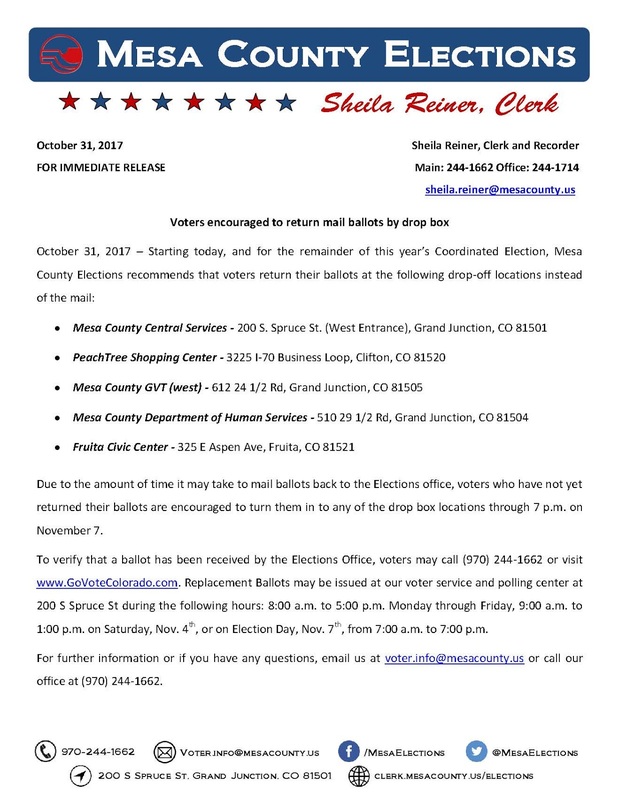 Due to the amount of time it may take to mail ballots back to the Elections office, voters who have not yet returned their ballots are encouraged to turn them into any of the drop box locations through 7 p.m. on November 7. To verify that a ballot has been received by the Elections Office, voters may call (970) 244-1662 or visit www.GoVoteColorado.com. 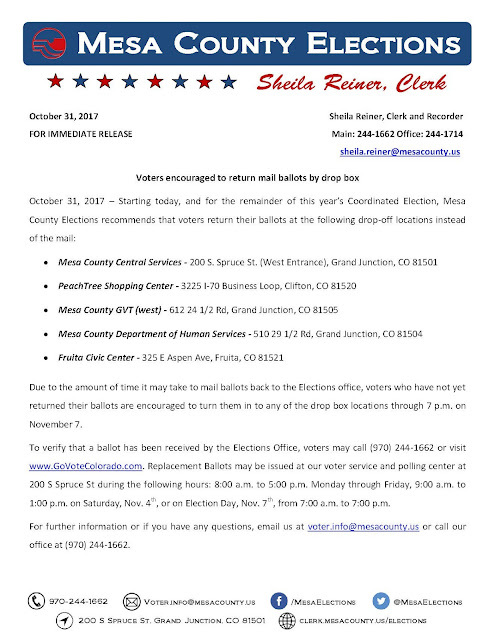 Replacement Ballots may be issued at our voter service and polling center at 200 S Spruce St during the following hours: 8:00 a.m. to 5:00 p.m. Monday through Friday, 9:00 a.m. to 1:00 p.m. on Saturday, Nov. 4th, or on Election Day, Nov. 7th, from 7:00 a.m. to 7:00 p.m.
For further information or if you have any questions, email voter.info@mesacounty.us or call our (970) 244-1662.